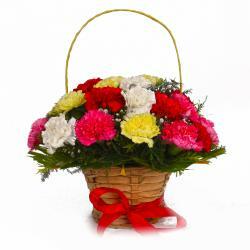 Product Consist : Basket of Eighteen Carnations in white and pink color with white and green fillers. 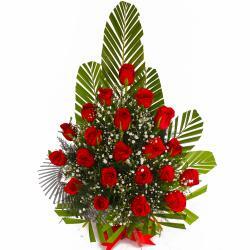 This amazing gift idea will surely bring a sparkle to someone s day. 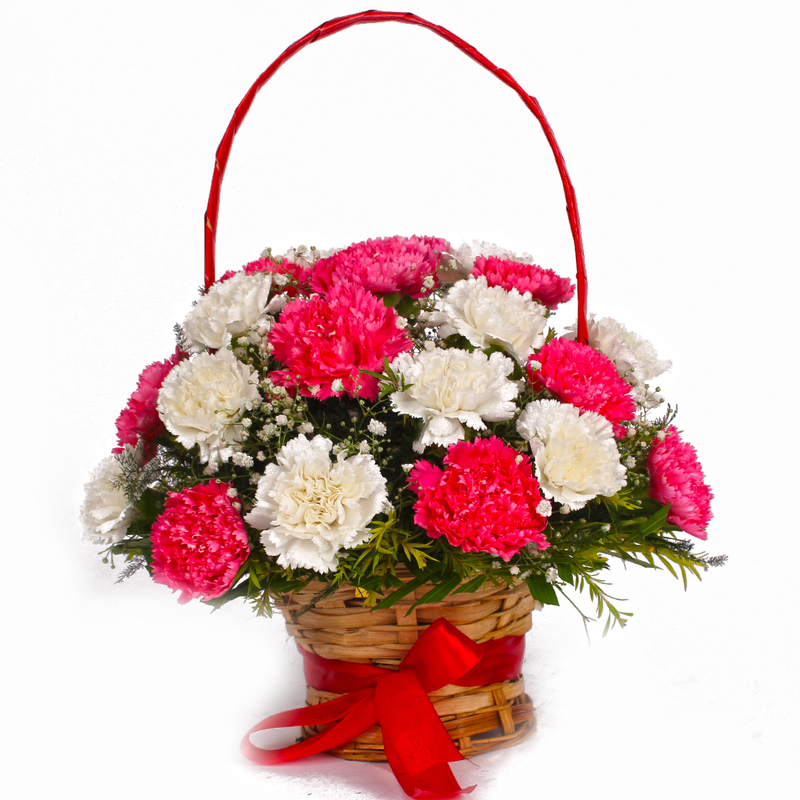 It comes in a beautiful arrangement where in pink and white Carnations are arranged in a round basket and the handle is adorned with a ribbon bow. 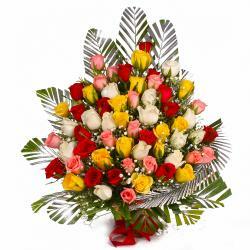 The freshly bloomed flowers look picture perfect coupled with such a pretty arrangement. 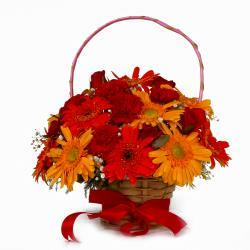 This can be an apt gift choice for a variety of occasions including Birthday, Anniversary, Diwali, Onam, Parents Day, Boss Dayand farewells. 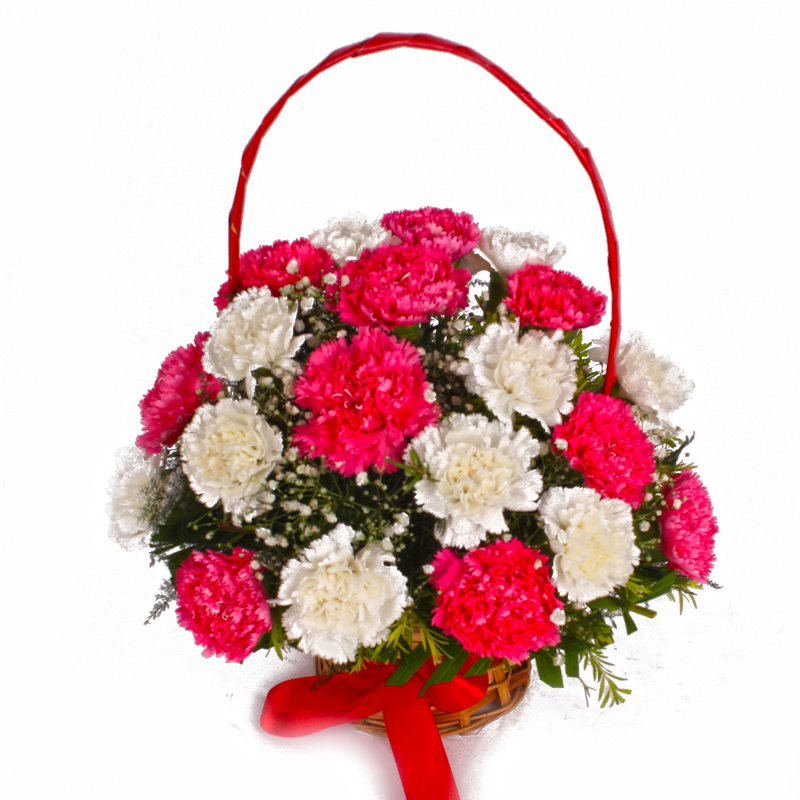 Product contains : Basket of 18 Stem of Carnations in white and pink color with white and green fillers.